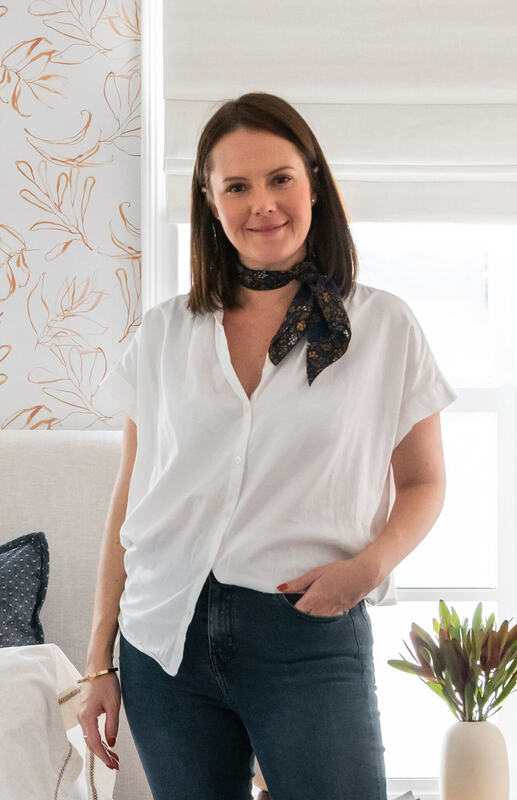 Hey all it’s Ginny here – if you read the intro post to the playroom we recently posted about, you’ll know that we’re also working with the client on several other rooms around their house. We started working with them about 6 months ago and with a new baby on the way, they wanted help making their primary guest room into a cosy, cool and eclectic space for all their visitors to enjoy. The room is a really decent size considering it’s one of two guest rooms in the house and gets lots of light from all the windows and patio door. They already had the oatmeal window treatments, which are are a really beautiful soft linen so we used those as a starting point for the design. 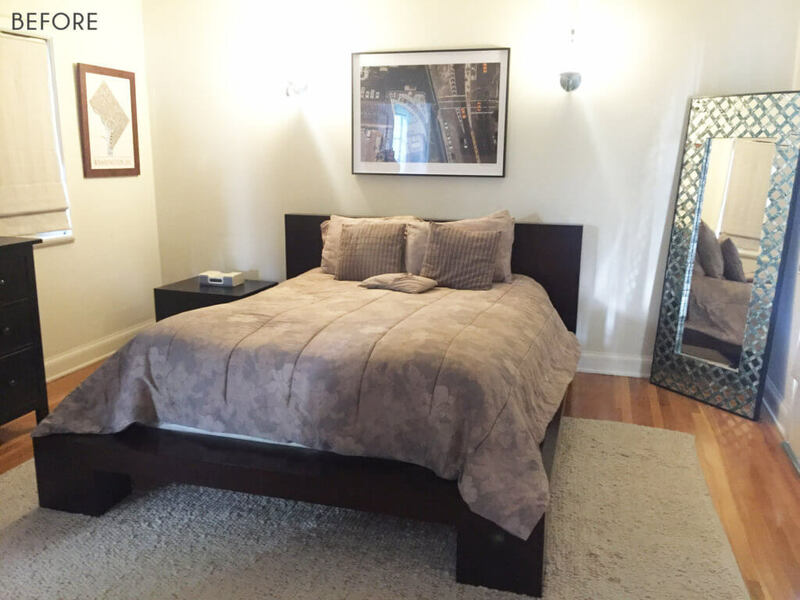 Other than the window treatments, they weren’t tied to anything else in the room except for maybe keeping the sconces in the same locations behind the bed as it was great for reading and additional light in the room. 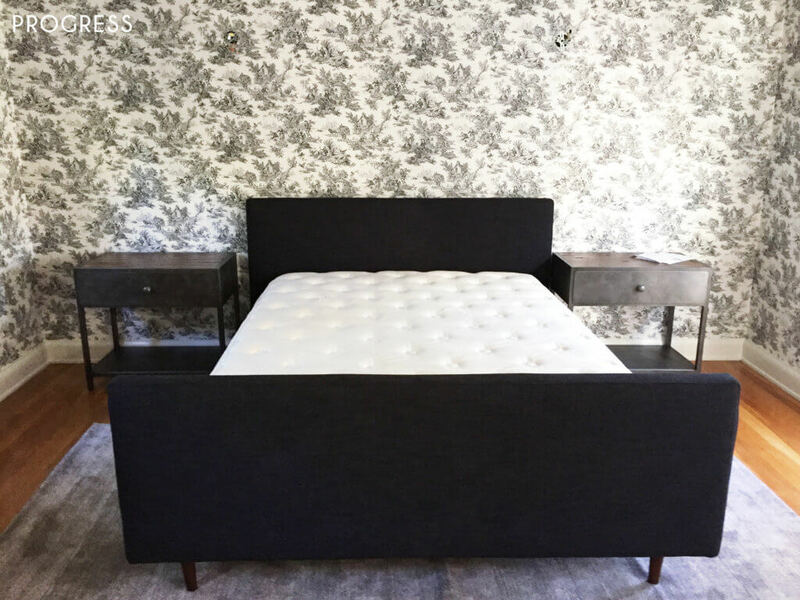 Lastly, they did have a wood bed in one of their other guest bedroom’s that we considered using which you’ll see in the moodboard’s we pulled together later in the post. Stylistically they wanted the place to feel special yet cool – like a hip hotel – think Soho House more so than The Hilton. With that in mind we got to pulling some inspiration images and found the overriding vibe was moody, traditional and sophisticated. Lots of dark neutrals with wood tones and lots of natural layered fabrics. Function-wise this room doesn’t get used too often so they didn’t want it be too full of personal styling props but they still wanted it to have a touch of whimsy and not feel generic. 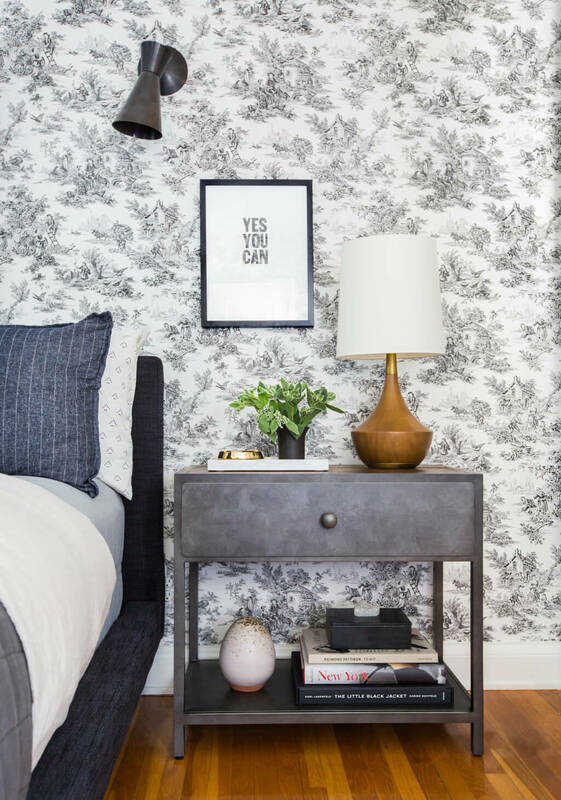 We loved the idea of wallpapering the room and so did they and when a client wants to do wallpaper we jump on that train fast as not every client is ready to commit to wallpaper like they were. 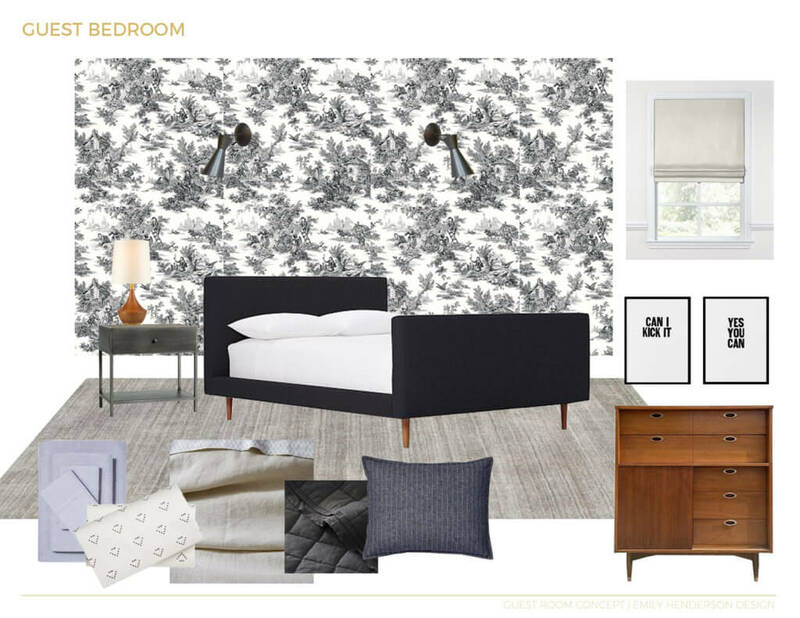 We showed them an abundance of different wallpapers in person and all loved the idea of doing a toile or something a little busier since the room could take more depth. 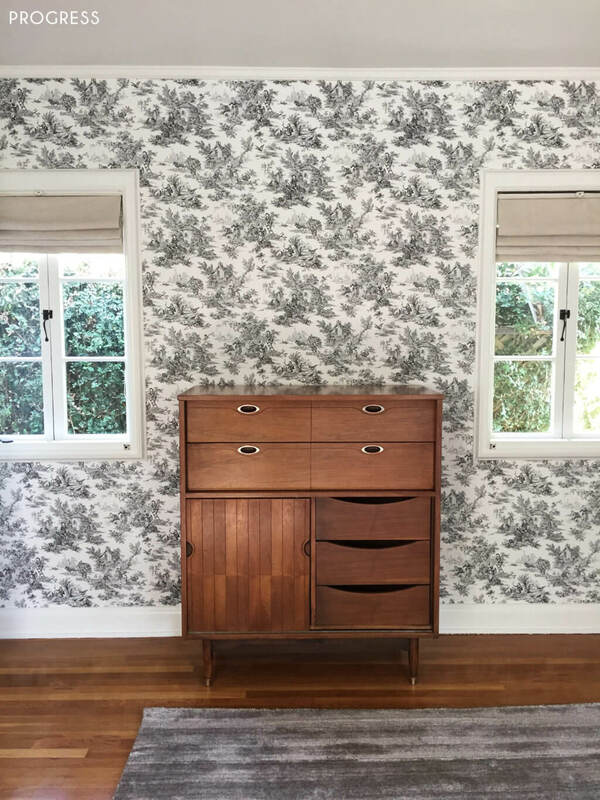 There are so many fun hipster ones out there but we ultimately kept it within the traditional realm and used this one below from York Wallcoverings. I know some readers have made comments about boards feeling soulless but when we pull moodboards together we don’t show all of them to the client during the presentation. It’s more for internal reference to show a direction and start discussions between the EHD team. It’s also not always possible to show a ton of vintage/locally crafted pieces on these boards since we normally source these in person and bring them when we install/shoot. These boards are really just a guide to start conversations and get the design process in motion. 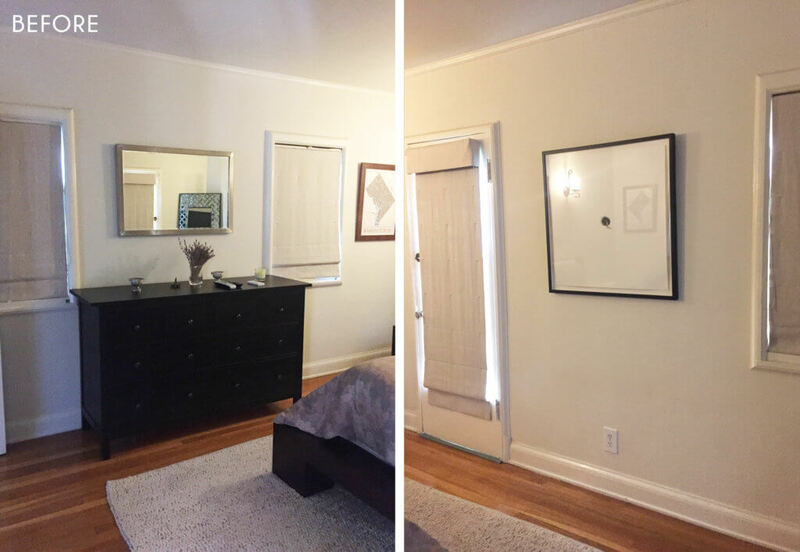 They had a good budget but didn’t want to go too crazy in here since it’s a guest room – so we kept it to mainly big box stores plus a few vintage pieces to give it some soul. Above is the final design plan except for accessories and styling props that we brought in to finesse the room. The wallpaper is so, so good in here! 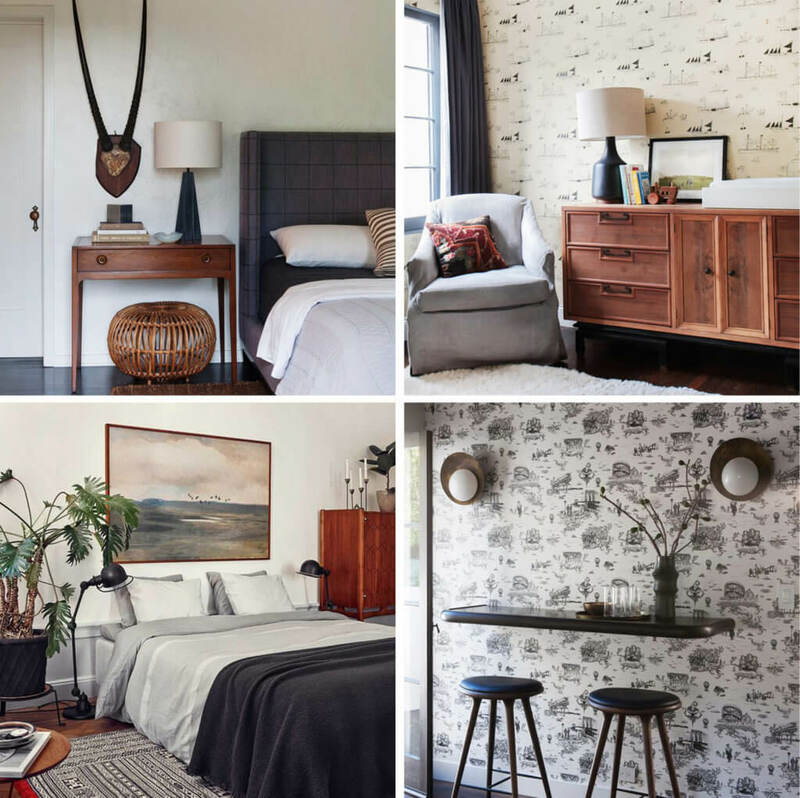 The nightstands are from a collab with Pottery Barn and an awesome furniture store based here in LA called Big Daddy’s Antiques. They do have a bit of an industrial feel (which is never a bad thing when it is done well) which helped to keep the wallpaper from feeling too ye olde world. This dresser is also super super beautiful in person. It took me a little time to convince the clients on this one but I am so glad that I did because it looks great in front of the toile. The full reveal is coming soon, but meanwhile – feast your eyes on this sneak peek. 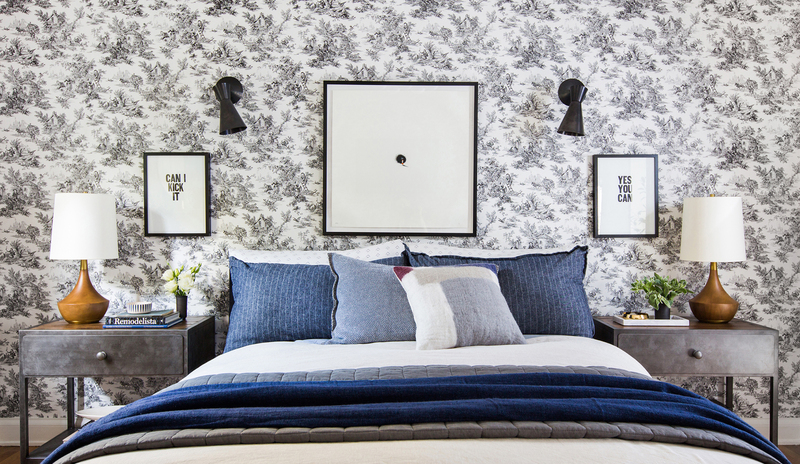 This might be one of my fave projects to date at EHD and I am really wishing it was my bedroom. We should be revealing this bad boy soon so stay tuned for more and let us know if you have any questions below in the comments!